Prominent & Leading Manufacturer from Mumbai, we offer spot laser welding machine, crane type mould laser welding machines, cnc laser welding machine, jewellery laser welding machine, automatic laser welding machine and optical fiber laser welding machine. Spot Laser Welding Machine has high peak power penetration capability which results in smooth welding effect with less heat affected zone. 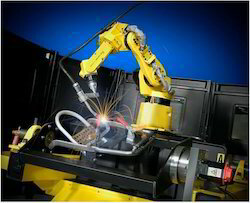 Laser welding is very much suitable for very thin metals as well as hard metals Different styles of welding application is possible with laser welding. 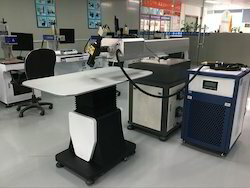 This type of laser welding is commonly used in Jewellery, Dental implants,auto industries, transducers, Electronic compo-nents, mobile industries, hardware. Tools, Utensils etc. 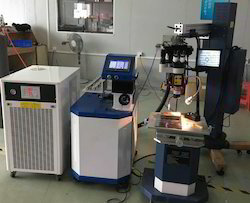 We are offering Continous Laser Welding Machine. 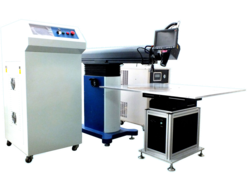 We are offering of Automatic Laser Welding Machine. 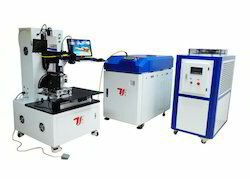 We are offering Optical Fiber Laser Welding Machine. 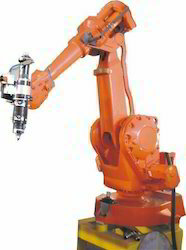 We are offering Robotic Laser Welding Machine.